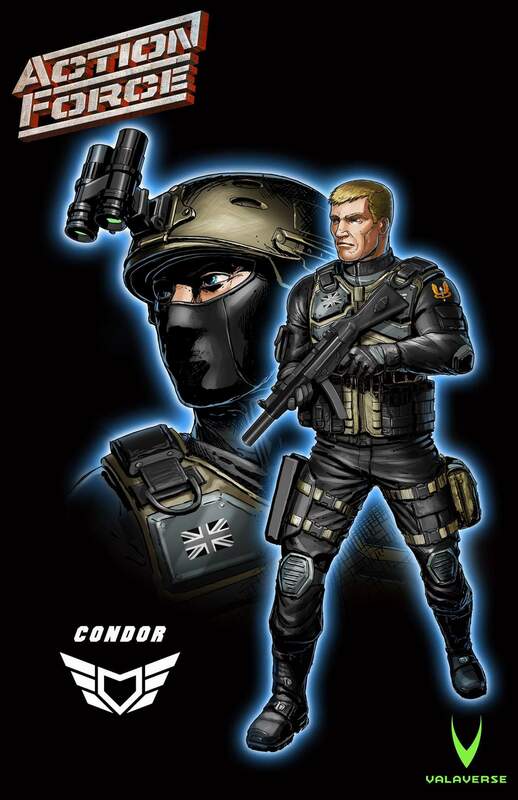 HissTank › Compatible Military Toys › New Valaverse Action Force Character Reveal – Condor! 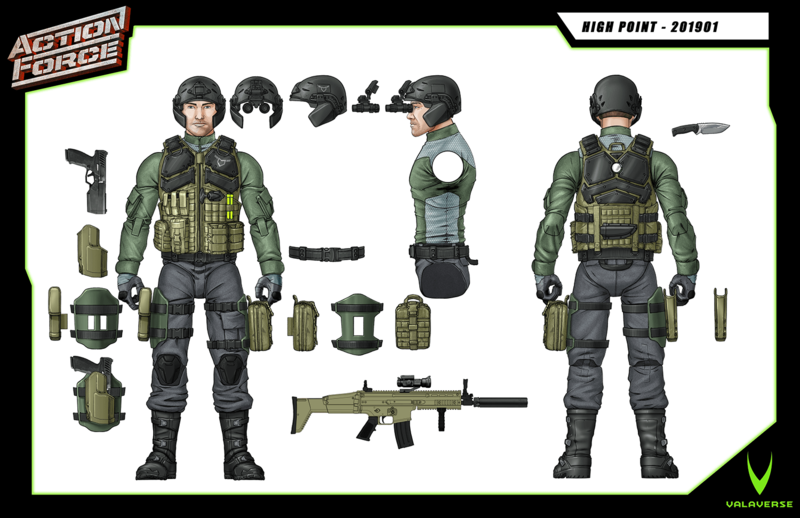 New Valaverse Action Force Character Reveal – Condor! 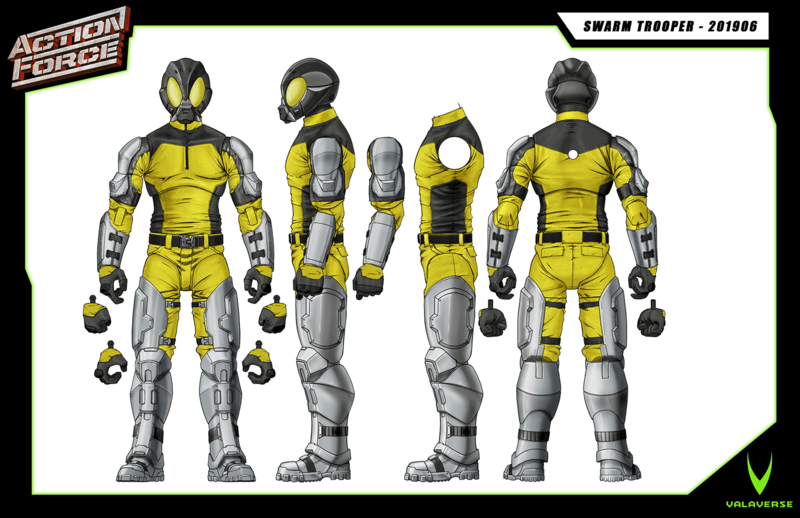 Bobby Vala from Valaverse has revealed a new Action Force character, Condor! Check him out after the jump! Action Force by Valaverse. Kickstarter coming soon! The United States are no more. Following the dissolution of the Federal Government, all 50 states declared independence and began to govern and defend themselves as individual republics. All branches of the armed forces spread their allegiance to these new republics which left many states inadequately defended. The second American Revolution was a confusing but surprisingly peaceful time as the state republics learned to trade and interact with one another. The coexistance did not last as the greed of men could not be contained. 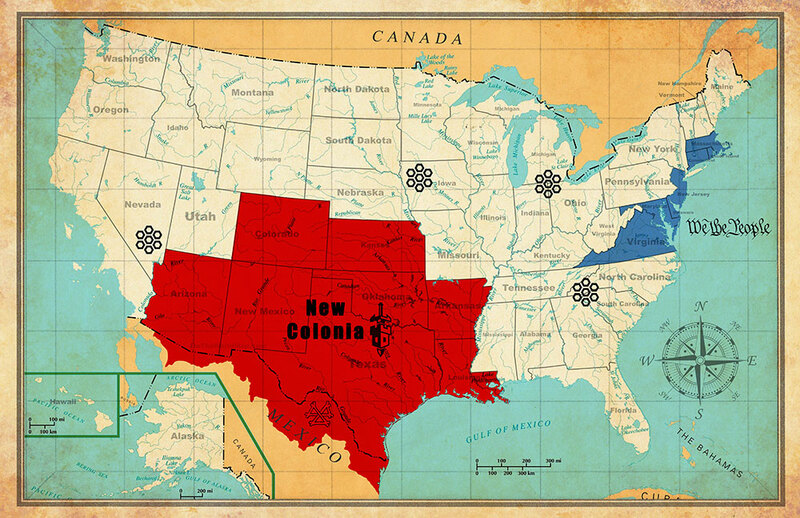 The super power formerly known as The Republic of Texas declared themselves an empire now known as New Colonia. Using their powerful military, The Garrison, to pour over their borders and invade neighboring republics, New Colonia’s goal was to secure as much land as possible to mine Casteladium, the newly discovered mineral for sustainable energy. Republics were given the option to join or be invaded. Other states were stunned by this interstate violence and barely had time to consider their options. Within two years, the New Colonia empire had conquered seven states and started to make its way into Mexico. Each state built up their own defenses, both against the growing southern threat but also each other. Some states banded together and formed the super republic, We the People, while smaller states relied on militia and mercenary groups like, The SWARM, to defend their borders. It was not only New Colonia that threatened the peace. Terrorism from around the world spread to take advantage of this new revolution. Republics not tied to any alliance felt a counter offensive must be launched to defend from the growing threats. Each republic chose their top military individuals to form a peace keeping force … an Action Force! Elite men and women from all over the country joined together to thwart terrorism and push back the New Colonia forces and restore peace to individual republics. When the threat of New Colonia and outside terrorism spread through the Republics it forced their leaders to take action. A protective force was needed to counteract these expanding threats. Each Republic chose their top military specialists to come together as one unit, an Action Force. These elite men and women immediately lead successful missions against Kerak and his Garrison. With each mission, the members of Action Force rose through the winged tiers. New members of Action Force are given the rank of Single Wing. More experienced troops are Double Wings and the more elite of the group are Tri Wings. The soldiers of Action Force have sworn to protect the citizens and bring peace to the new Republics. As New Colonia swallowed up Republics it gained each military force bringing them together as one massive unit, The Garrison. 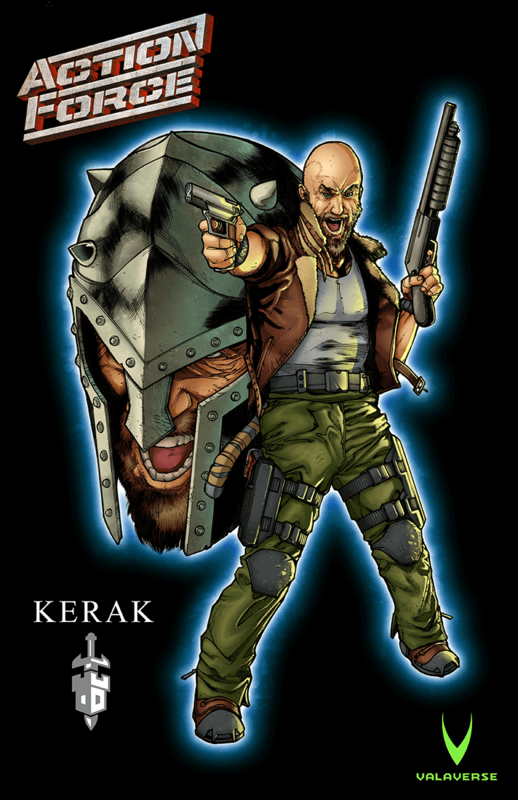 Lead by Kerak, The Garrison carries out their orders brining death and destruction to those Republics willing to stand up against New Colonia. Kerak rages into war leading his soldiers as a cavalry of medieval knights. Even invading forces need a group to handle the messy jobs. The Brothers of Bones are all ex military soldiers who follow no rules. Their leader, the Bone Collector is even more ruthless than the rest of his unit. 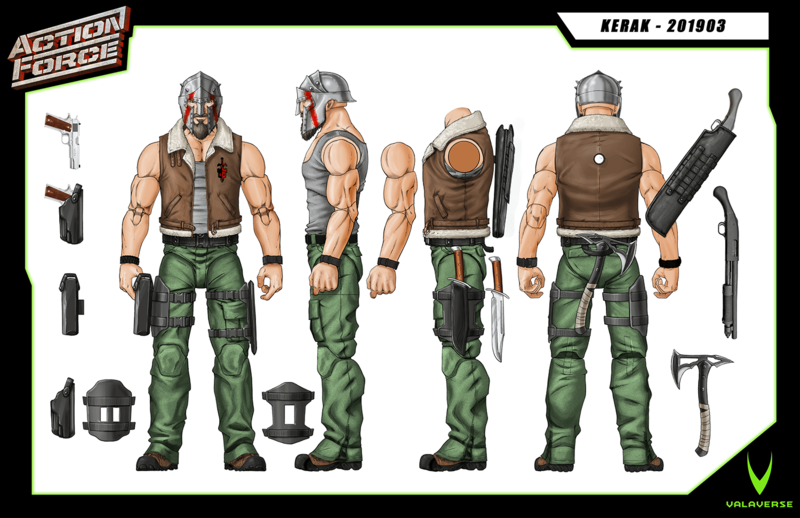 Kerak gained a loose alliance with the Brothers of Bones using them as an infiltration unit, breaking down a Republic’s moral, making it easy for The Garrison to gain control. The second American Revolution allowed each state to become their own individual Republic. Population and infrastructure decided the size of each Republic’s military. This left some Republics with a weakened military force. 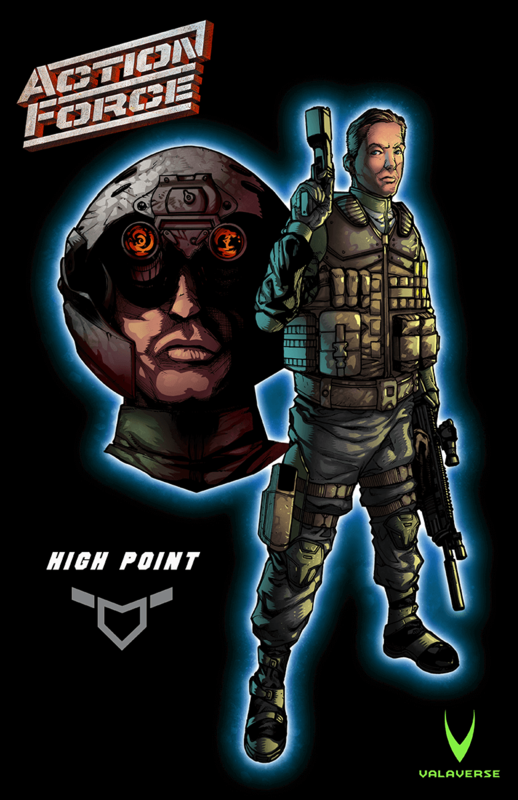 The SWARM is a group of elite military mercenaries run by powerful corporations. When smaller Republics are threatened with invasion, The SWARM can be called to protect their borders. Using The SWARM for protection also comes with a price. The corporations employing The SWARM gain a controlling percentage in the Republics infrastructure. Well BobbyV this is interesting. I've been following your posts on Instagram and have been eagerly awaiting this reveal. Looks good, but is the name under copyright or trademarked? Would hate for something like that get in the way of a great project. I wouldnt be suprised if Hasbro let it lapse like "knowing is half the battle" lapsed. The figures look very promising! Interesting plot twist, since New Colonia is in Texas/started by Texans that makes them the “good guys”. The concept art looks great and an interesting back story too. If it was the "one true scale", I would totally jump in on it. Best of luck though, hope it gets backed! Am I reading this right, Vala started a Para-Military toy line with Texas as the bad guys? Shouldn't they be the good guys? Or is it just a general clusterf*ck? Reminds me of Frank Miller's Give Me Liberty a bit. Also, bully for Bobby pulling a fast one on Hasbro, lol. Figures look cool too bad thier not 4inch though. Maybe the swarm trooper could hang with my A.I.M guys. thats my exact thought too! On the Full Force podcast a week or two ago he said it was surprising something related to his project was not trademarked. I assume it was the name Action Force.